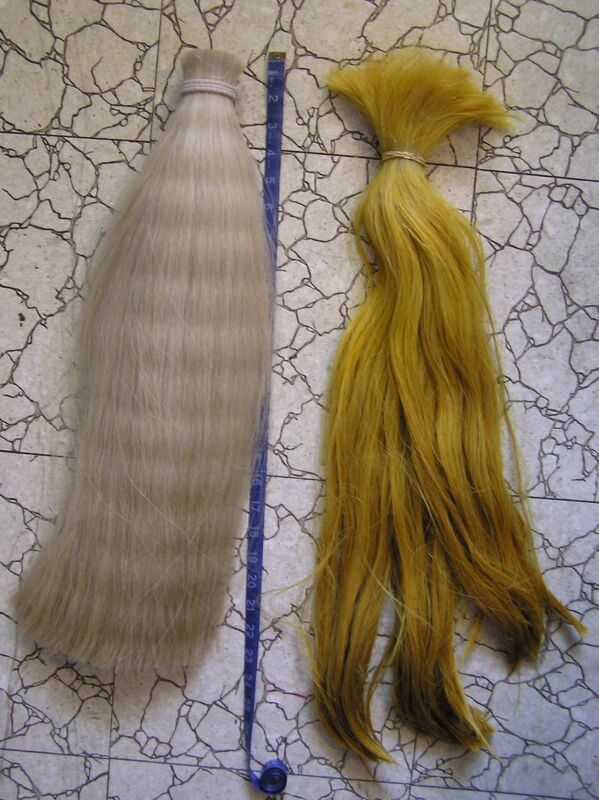 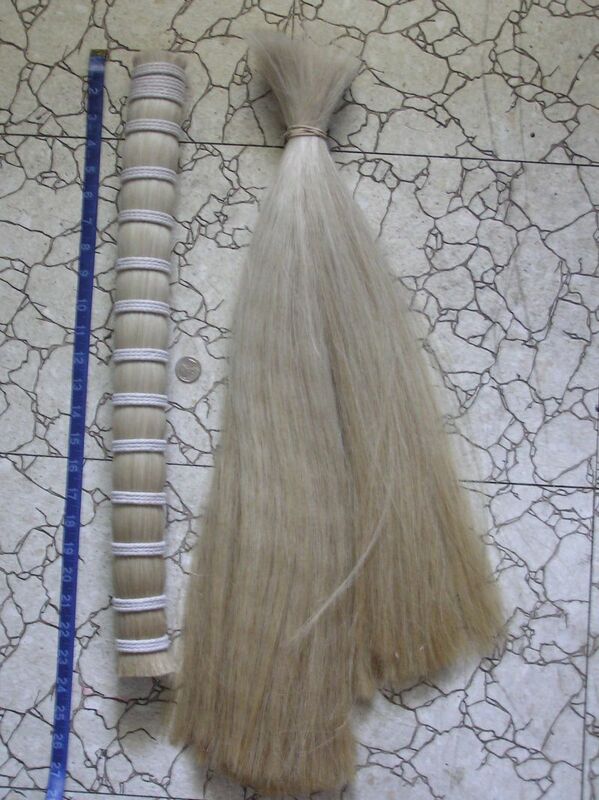 White Horse hair was dyed with RITT dye to be solid Yellow. 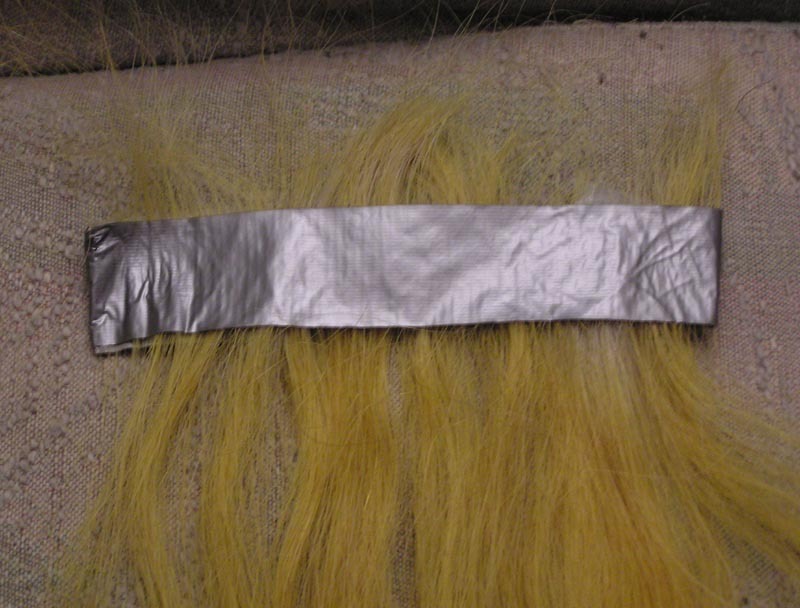 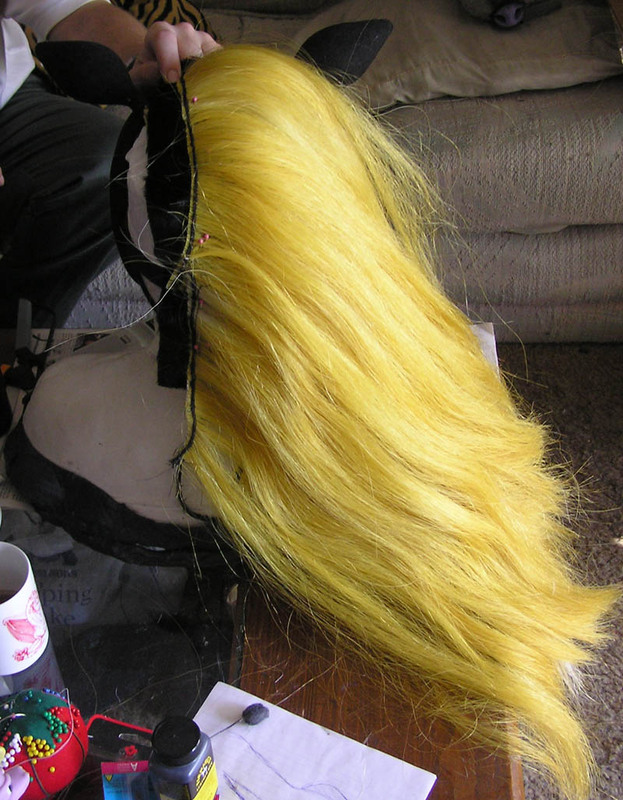 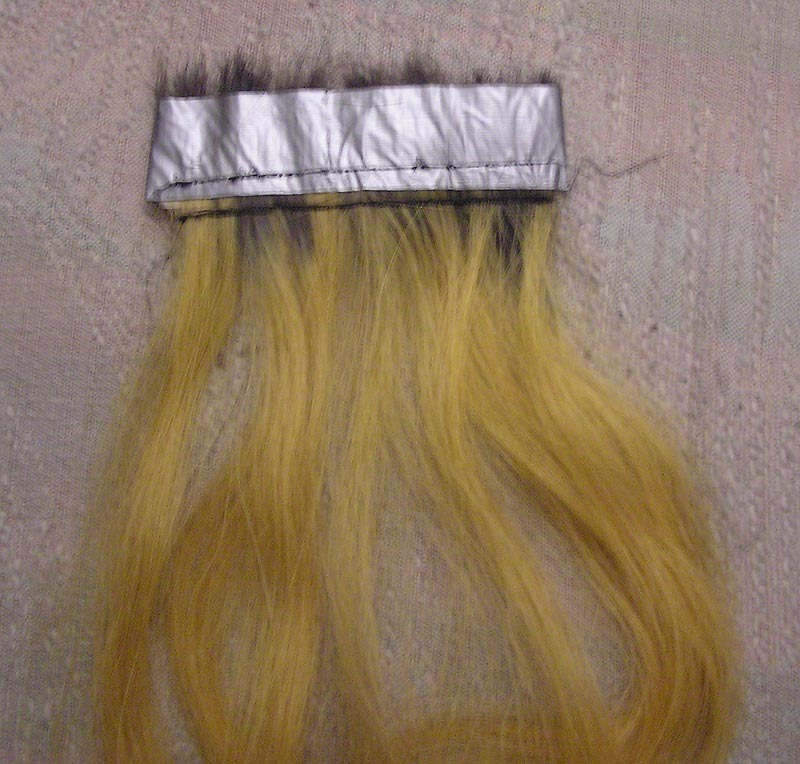 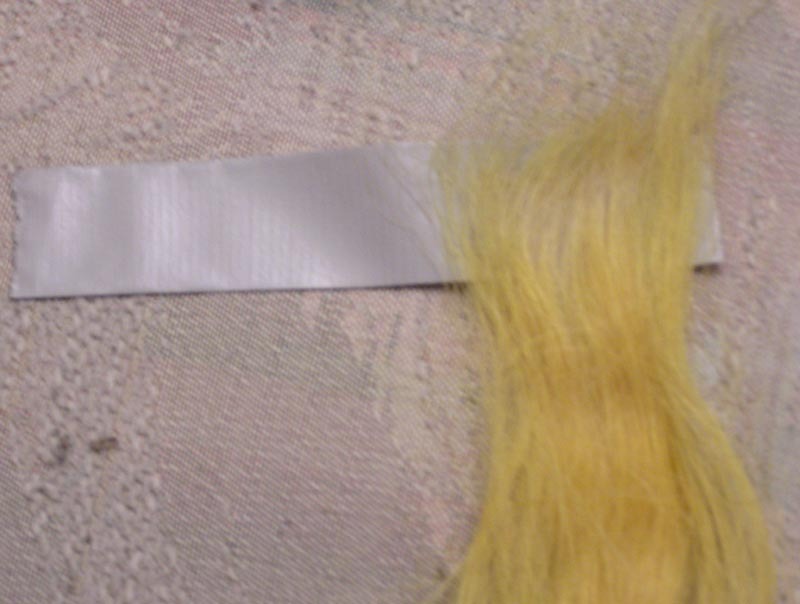 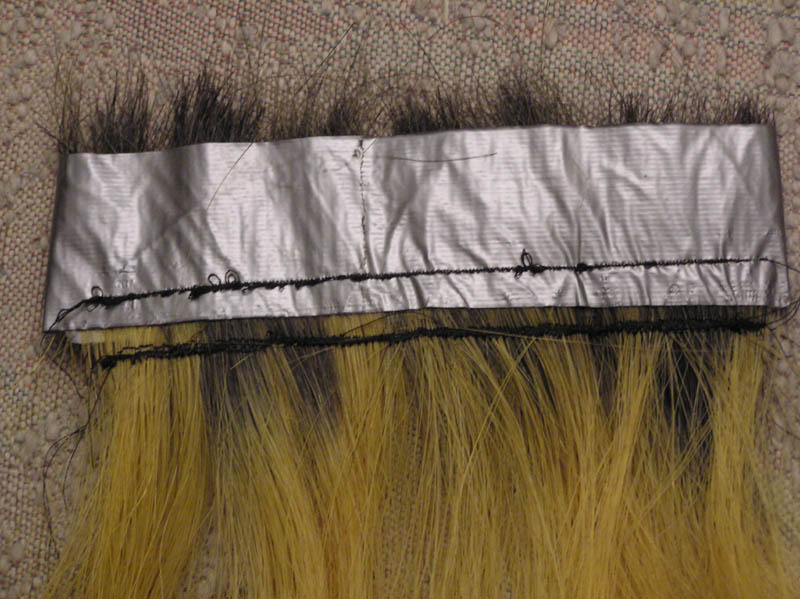 tape was cut off, then they are finished "wefts" (sewn horse hair bits). 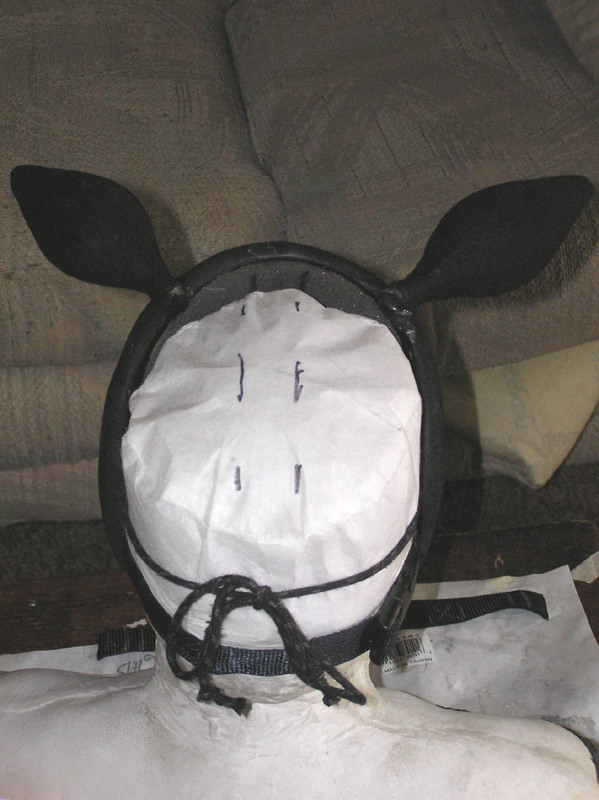 to sit at the back of my skull for a more secure fit (this was screwed into the mask). 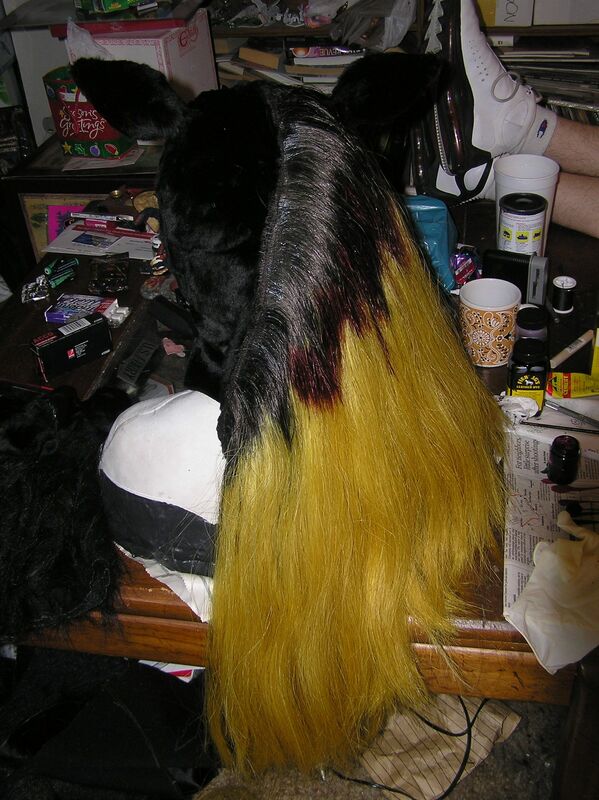 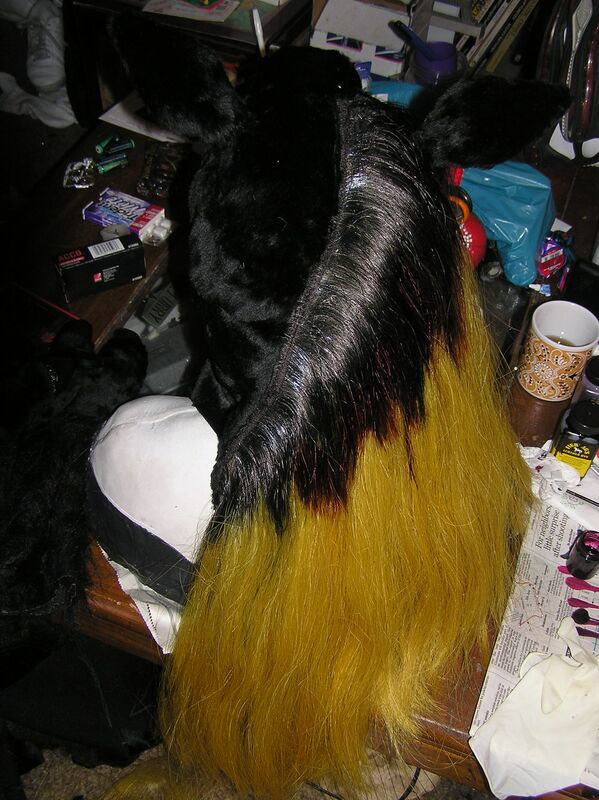 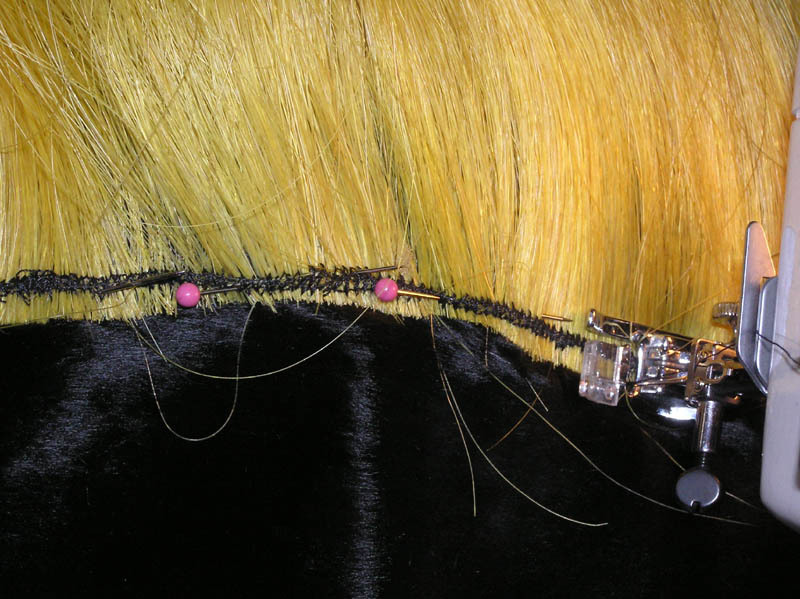 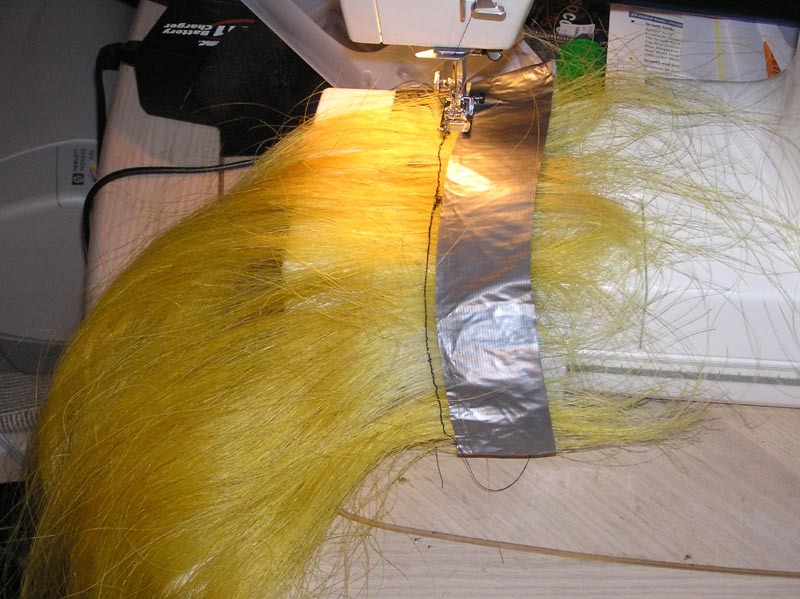 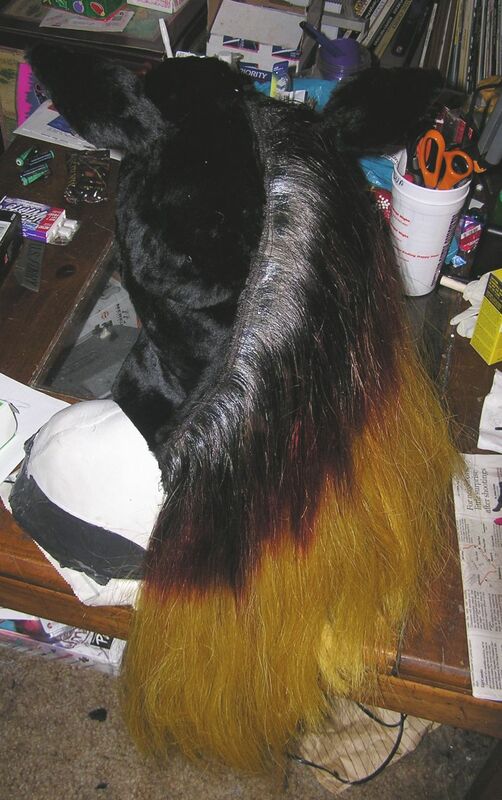 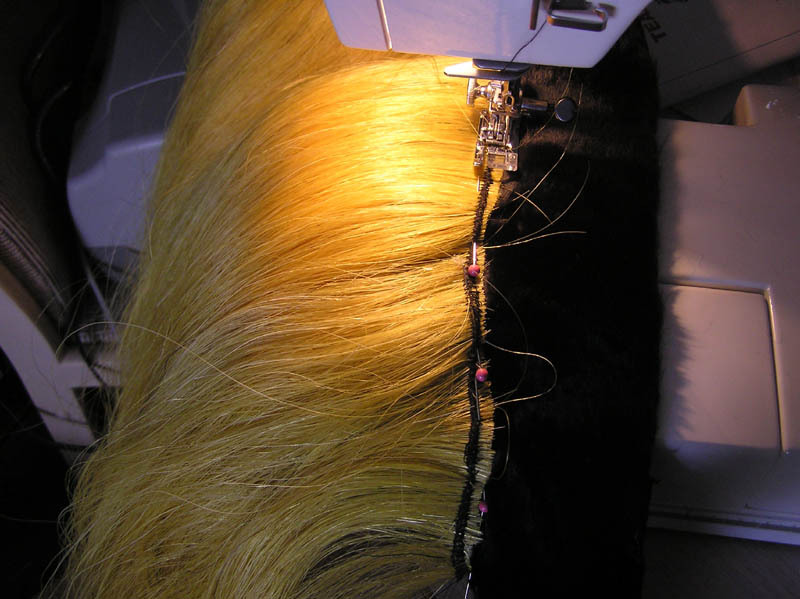 The 5 or 6 layers of "wefts" were sen together on a strip of fur to finish the rough mane. 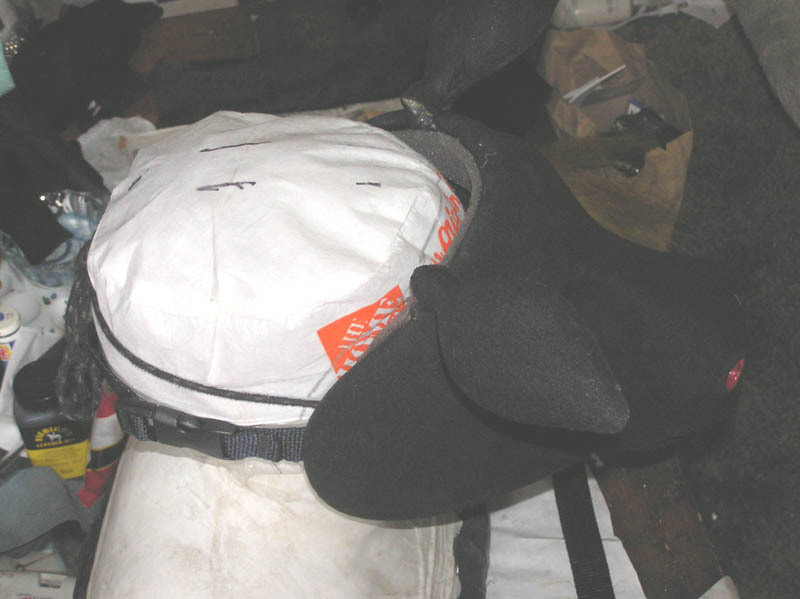 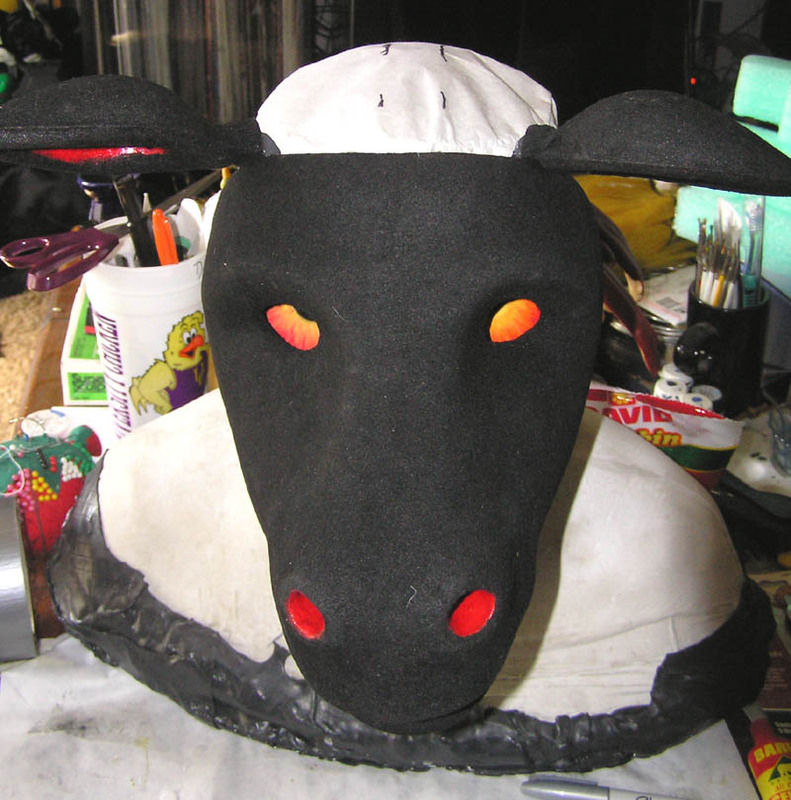 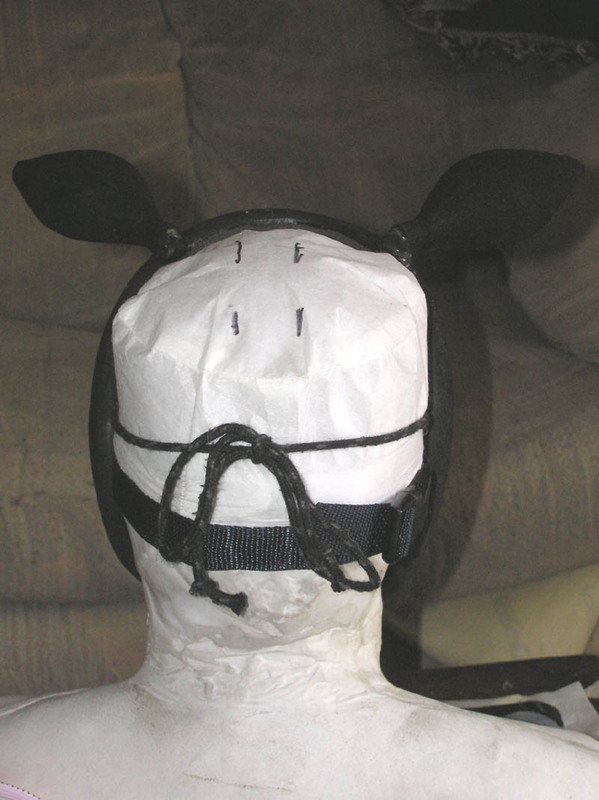 This strip was attached to more fur at the back of the skull and on the mask. 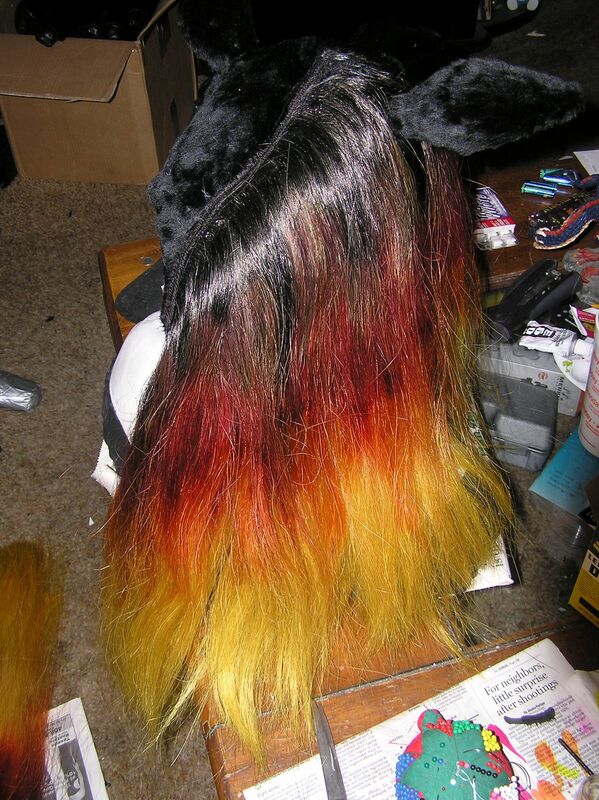 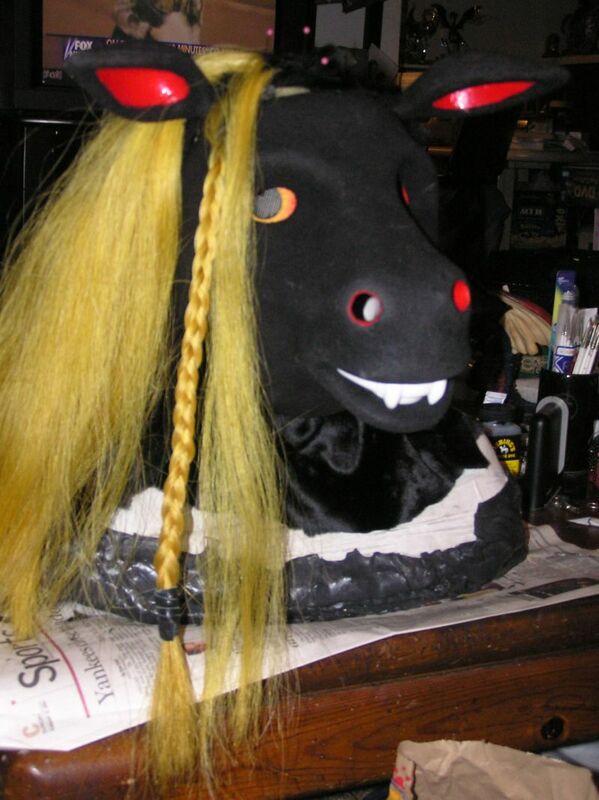 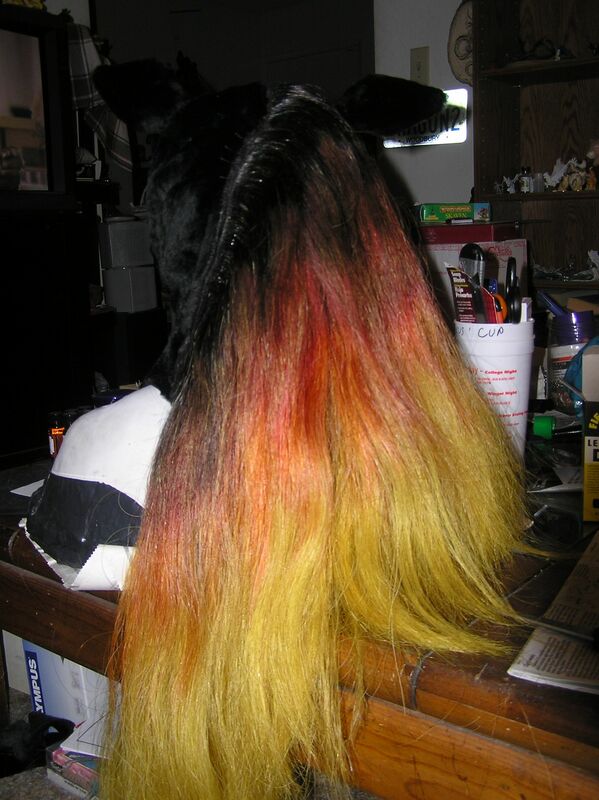 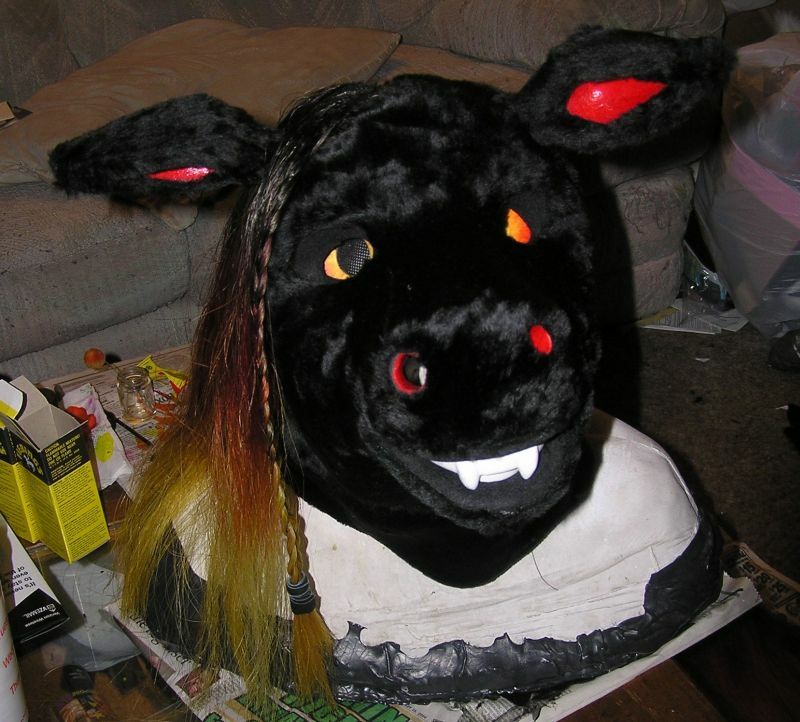 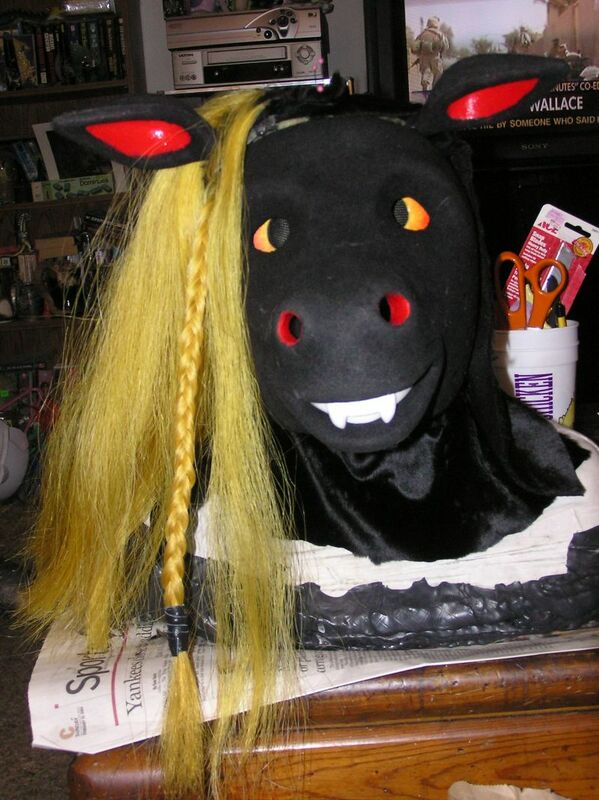 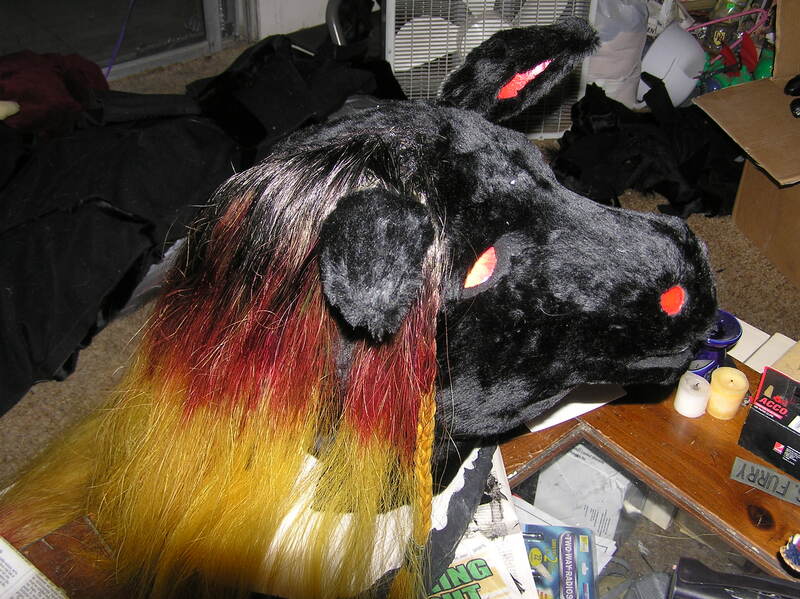 Once the mane and mask were complete, then I dyed the mane. 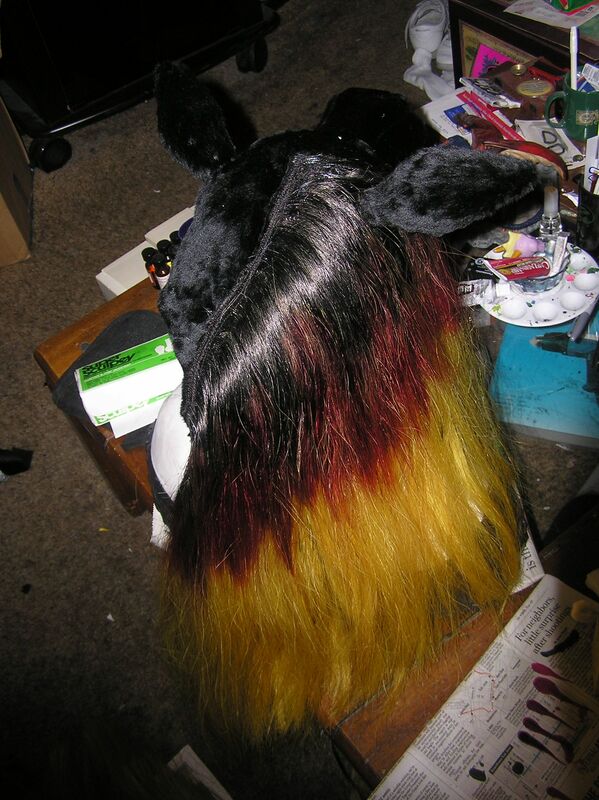 of five colors: Black, Burgundy, Red, Orange, Yellow. 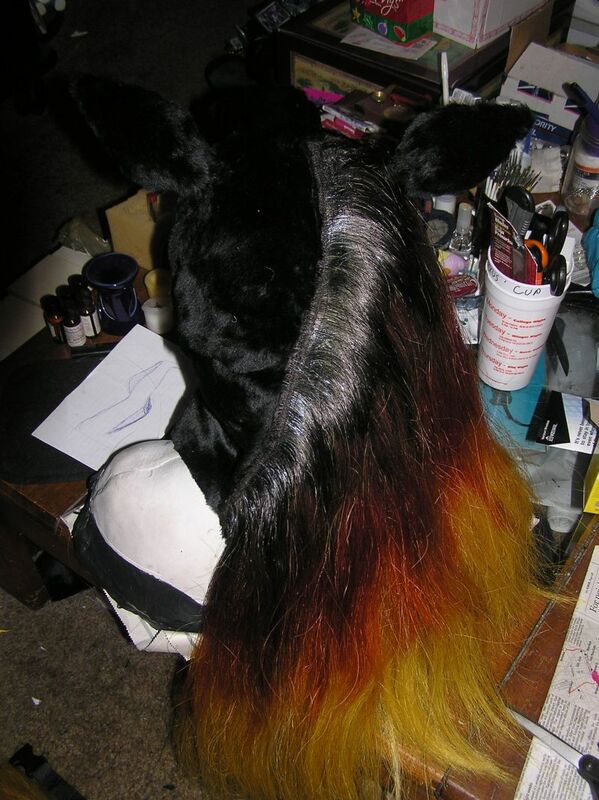 This took a couple days to finish.